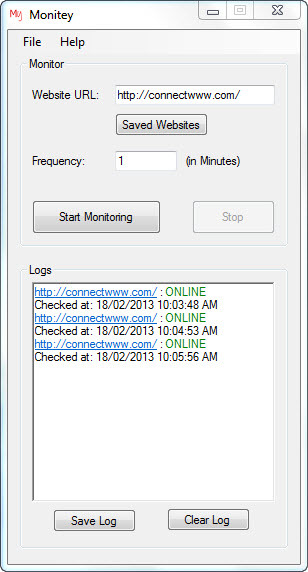 Monitey is a free software to monitor status of a website. Monitor website in any interval of time. Logs the realtime status of your website. Ability to save the logs for future reference. Runs in the background and notifies you when something goes wrong. just download and install the Monitey app. Open Monitey enter the full URL of the website to monitor. And click Start Monitoring button.